Maine fly-fishing is well known for the big Brook Trout that inhabit the local rivers and streams. It is not uncommon to hear about a 5-pound Brook Trout being netted from these crystal clear waters. In addition to the Brook Trout you will also find some nice Landlocked Salmon. These fish don’t get as big as the Salmon in Oregon or Alaska, they are usually in the 2-3 pound range. That is still a pretty large fish and taking it from the clear streams in the state can be very memorable. Maine has some beautiful mountain streams and great scenery. 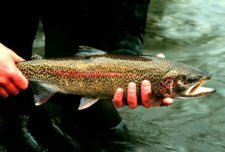 Fly-fishing in late spring or in the early fall can be a rewarding experience. There are good places to fly fish in or around Portland Maine, making this a great destination. Find out more about any of these great rivers by clicking on their link below. You will see a hatch chart and map of each river on that page. 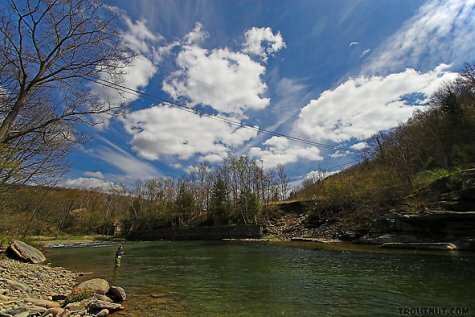 Rapid River boasts the best wild Brook trout fishing in America. The river is short, just over 3 miles long. The Brook trout in here can easily top five pounds, but they usually run 2-3 pounds. There are two ways to reach fishable water, one is to walk one mile and the other is by taking a one-hour boat ride. You really need to want it. 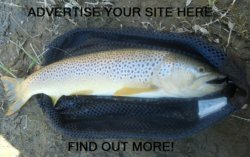 This is a great place to find landlocked salmon that is fishable all year. It is best fished in late spring and early fall. There is a private toll road that follows the West Branch for over 30 miles from Millinocket to Ripogenus Dam. Is this the best fly fishing in Maine? Pleasant River is a great trout stream that is not to far from Portland Maine. The stream is located just south of Milo, not to far from Bangor or Dover. It has nice riffles, flat runs and great pools. The river is easily waded and has nice Brown trout and Brook trout throughout. The Kennebago River is located just outside of Rangeley, in the western part of the state along rt. 16. The river has a great run of Landlocked Salmon in September. The local Salmon average two pounds, but some of the landlocked salmon get as big as four pounds. Tell us about your favorite place to fish! Maine fishing regulations and licenses information. Maine is a great page to fly fish, click here to choose another state.